Althea Photo Hoaxer Exposed In Record Time Thanks to Remarkable Team Work! The verdict is totally in. When confronted with facts, the hoaxer confessed ( and it wasn't me!) While it is on the one hand, disappointing, it is also gratifying that there is such a strong pool of experience and analytical thinking in this collection of individuals called the sasquatch research community. It only took 18 hours for the collaborative efforts of alert readers to assemble three principal reasons to doubt the authenticity of the photo. One person texted me and pointed out the lack of time stamp on the photo. While my early days with camera traps got me used to not having time stamps, especially back when we loaded actual film into the camera traps, times have changed and any more modern camera trap should show time, date, and manufacturer of the camera on every digital photo. "Why is that important?" you ask. Because it means that the photo was taken on a phone or digital camera but not a camera trap. Dave E., the guy who gave me the photo, was under the impression that the photo was taken on a camera trap. At least, that is what he was told. This, of course, suggests that someone is not being truthful. "Wow, I just talked to him and he finally admitted that he got this off Instagram. Needless to say, I am very pissed and very disappointed. I apologize to you for defending this, but I truly trusted him and the location matched his perfectly. This probably ruined my relationship with him but this doesn't explain my other friend seeing the same being since they don't know each other and she had never seen the photo until she shared her sighting with me. Again, I am indeed sorry, Thom. I really thought I could trust him. Thank you for making me get to the truth with him." So, it seems, my acquaintance was conflicted in the usual way: He had other valid experiences that indicated that there was a reality to the sasquatch phenomenon, but then his view was challenged by another friend who had no problem with being a liar. Unfortunately for Dave, he did not have access to the analytical minds that I do. First let me also offer my own apology for generating excitement and interest that did not pan out. Second, may I express gratitude that my circle of fellow researchers is so deep. I am especially grateful to Higby, Suzanne and Bernie Ferencak, Adam Bonkers Bird, Doug Hajicek, Daniel Perez, Thomas Wilson, Richard Soule, Ron Morehead, and whomever else I am neglecting to mention. Between the lot of us, it took us less than 18 hours to get to the bottom of the ruse. Considering the fact that some historic hoaxes went on for years before being day-lighted, it represents some remarkable teamwork. Thank you all. I sat on the photo for three weeks before publishing it, and shared it privately with many folks. The consensus seem to be that it had merit. I was certainly hopeful and positive, based on my interaction with Dave E, and gratified that no one wanted money or attention. I was a bit concerned that the ultimate source did not want to be known, but it seemed reasonable, so I "went to press" and published on this blog. What is most impressive is how collegial everyone was in offering not just opinions, but facts and observations based on countless years of experience. It does seem that the community of sasquatch researchers has matured greatly since the days of the Four Horsemen. Nastiness and vituperation are gone; replaced by analytical thinking and raw experience. While I am also embarrassed, as is Dave, to find that my initial endorsement was wrong, I cannot help but be gratified by the collegiality and team work that ultimately exposed the truth of the matter. 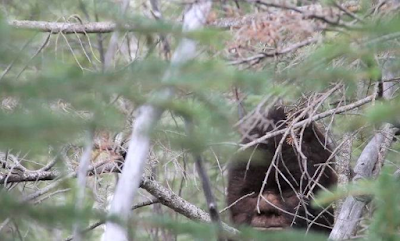 The sasquatch do know about cameras and they do not want to be photographed. The biggest problem I had with the photo is the fact that I knew this in my heart of hearts, yet the photos seemed to suggest otherwise. I wanted the photo to be genuine, even though I had a strong reason to doubt that a sasquatch would allow itself to be photographed. True, Patty was filmed and the Patterson-Gimlin footage of 1967 IS the real deal, but since that fateful day, the sasquatches themselves seems to (in my humble opinion) have learned a lesson and become more averse than ever to being photographed or filmed. In light of this, the picture in my possession seemed too good to be true, and guess what? It was. I, for one, stopped deploying camera traps a long time ago. Still, I do not disparage or discourage others who still put them out in the woods. Heck, I hope they succeed, even as I inwardly doubt that they will. But who am I to rain on someone else's parade? Anyway, it has been an interesting week. My sense of embarrassment is offset by my renewed faith in the sasquatch researcher community. This experience has greatly heightened my opinion of my fellow sasquatch researchers. I am a lot smarter than I was a few days or weeks ago, and I hope others are, too, and I am also prouder than ever before to be a part of this thing called the sasquatch research community. I will also sleep a bit better, secure in the knowledge that my fellow researchers "got my back". 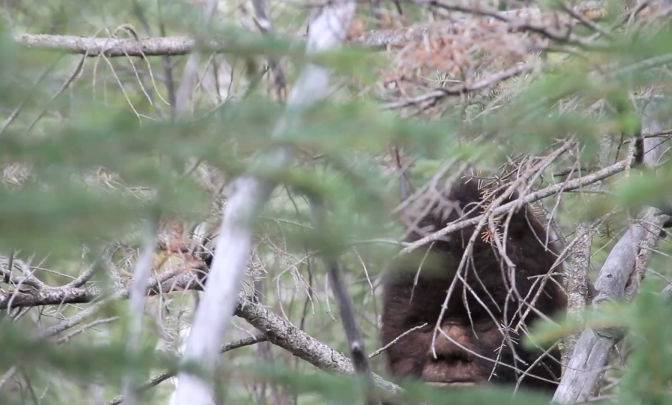 As bigfoot photos go, ya gotta admit, this one's pretty good. Far better than average. It also has what I consider to be a pretty good pedigree. Some folks , like my friends Suzanne Ferencak in Ohio and Barbara Bangs in Palo Alto, feel that it looks to be a female, perhaps even a pregnant one. Consequently, Suzanne and I dubbed the subject of this photo "Althea" since we are both Grateful Dead fans, and "Althea" is a well-known Dead tune. The original photo, completely unmodifed. "Wow, Dave, that's pretty decent, especially compared to the usual 'blobsquatch' photos." Dave went on to explain that the photo was obtained by his friend who lives near Poulsbo, WA. This friend was setting game cameras (also known as trail cams or wildlife cameras) on his property in hopes of locating deer hang outs. The guy has absolutely no interest in bigfoot, Dave hastened to add. He was just looking for deer to hunt. But, much to this fellow's surprise, one morning, he found this photo on his trail cam and shared it with Dave, whom he knew to be a 'bigfoot believer'. Dave, in turn, shared it with me at the conference. Dave also offered that, by way of scale, the grass in front of the subject was measured by his buddy to be four feet high, making the subject behind the grass roughly seven feet in height, maybe more. I explained to Dave that even though the photo was pretty respectable, any putative bigfoot photo is invariably assumed to be a fake, especially since most people still assume that the whole bigfoot phenomenon is fake in the first place. Therefore, the best move that one could make, so as to dismantle the allegations of fakery, is to share the photo freely and generously, with no attempt to monetize or copyright it. Any bid for fame or fortune by the owner of the photo would bolster the suspicion that the photo was faked for a presumed profit motive. "No problem," Dave agreed. "The guy who got the photo isn't even a follower of the bigfoot subject. Heck, he doesn't believe in bigfoot, and he doesn't want fame. "He doesn't even want his name associated with the photo," Dave explained. "He's just a deer hunter and a friend." "That's perfect,": I said. "Can I share it around?" "Sure," Dave agreed. "I hope it helps." So there it is, folks. A photo of what appears to be a bigfoot, although neither the owner of the photo, or his friend Dave, are totally convinced that it is a sasquatch in the photo. All that they feel is that it is a photo of what appears to be a bigfoot, and they would both be interested in knowing if there was a consensus, one way or the other, among the bigfoot researcher community, as to what exactly that is in the photo. Experienced camera trap users may wonder why there is no time stamp on the photo. I must confess that I did not notice that missing item at the time I was given the photo. I guess it isn't super important but it does suggest that, if it was a conventional game cam that was used, it was an older model. I will offer that I have hundreds of game cam photos that have no time stamp on them. Newer units display time and manufacturer info on every photo, but older models did not do that. Anyway, I know better than to jump in with both feet and declare it to be the undeniably real deal. Faking and misinterpretation both occur. Time will tell, but, dang, that image looks really good to me. Further, I'm saying that the potential validity of the photo is bolstered by the circumstances surrounding the acquisition of this photo, not to mention the open and unselfish sharing that has been demonstrated along the chain of custody of this photo. I would be very interested in the opinion of others, even in disagreement. 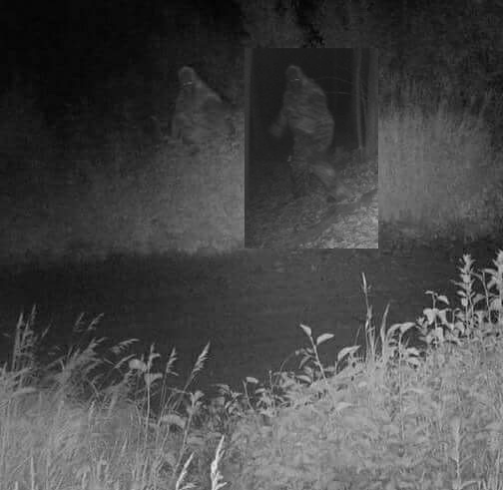 To me, the overall circumstances support the view that this photo is an image of a sasquatch that was caught off-guard by a totally honest and unsuspecting rural resident and hunter. And with such open sharing being demonstrated by Dave E. and his nameless friend, I feel it is my duty to similarly share it around free of any charge and free of copyright restriction, just like the Grateful Dead have done with all of their music, including the song, Althea. And call me paranormal, "woo", or even crazy, but I also feel that this is the way the sasquatch would want it. The profit motive is the absolute bane of our human existence and, along with overpopulation, the root cause of all environmental destruction. And while the profit motive is probably here to stay, at least for the time being, that doesn't mean we all have to live by it all the time. So there you have it, friends. A pretty decent photograph of a probable sasquatch that I am cautiously calling legitimate. And, just like your Grateful Dead music, copy it as often as you like and share it where ever you like, but not for money or profit, please. And when you're copying it, please consider including the message that I have captioned to the photo below, because I'm told it is a message that the sasquatch are eager to deliver to humanity. Even if I'm wrong about that, it's still good advice. PLEASE, TREAT IT WITH RESPECT." "I told Althea I'm a roving son, and I was born to be a bachelor. Althea told me, okay that's fine, so now I'm trying to catch her. Been talking a lot about less and less, and forgetting the love we bring." 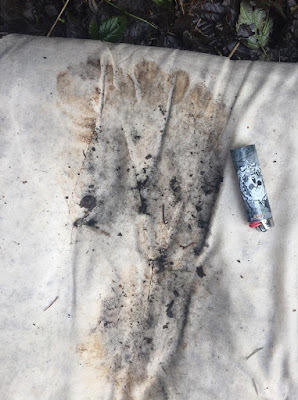 Finding Bigfoot Feet-On Futon or "The Shroud of Noti"
Noti, Oregon track print. Photo courtesy of Chris Minniear. When you're Cliff Barackman, you don't have to go looking for bigfoot. Bigfoot will find you...or at least bigfoot footprints will find you. Which is precisely what happened the other day when Cliff received a message from an alert rural Oregon resident who found a couple of very unique footprints while making an unscheduled pit stop on State Hwy. 36 about eight miles out of Noti (pronounced "no tie") in Oregon's Coast Range Mountains. As she headed into the bushes, this woman noticed an abandoned futon-style mattress that some "low life" had dumped by the side of the road, rather than pay the money to dispose of it properly at a dump. To her surprise, this alert woman observed two very large, nearly perfect, muddy footprints that were impressed upon the dirty beige linen fabric that covered the abandoned futon. In this day of cable TV bigfoot shows, this unknown woman of Noti, Oregon had learned that there are people, some who are quite local, who really care about such peculiar occurrences as curiously large bare footprints. After a little on-line searching this woman, whose name I do not have permission to use (yet) located the contact information of my favorite Bigfoot TV show host, Cliff Barackman. Curiously, all of this took place on February 16th, just two days after the sixth anniversary of the London trackway discovery. The London trackway was a track find of well over a hundred track in a lake near London, Oregon on February 14, 2012. Oddly, this new track find near Noti was only forty miles distant from London and it occurred at the very same time of year. One wonders whether the big feet-on the futon might be a match for the London tracks, in which case we may be dealing with a sasquatch with exhibitionist tendencies. If so, I think we finaaly have a cryptid who would be a good fit for regular TV appearances. Mind you not everyone considers the London trackway to be authentic. Even Cliff, who collected seventy tracks from that site, doubts their authenticity. I, on the other hand, am stalwart in my view that they are the real deal. My reasons are articulated on a another blog post that can be found in the archive of this blog (see: London Trackway, 2010 post). In any event, this possible connection to the London trackway is but one of a few weird coincidences that surrounds this new recent track-find near Noti. The local weather in the Coast Range was particularly foul all week, so Cliff correctly supposed that he needed to move fast. He knew he needed to preserve the evidence, however good or bad, before it was lost to the relentless rain and snow. So, Cliff, being the consummate field man, wisely called for back up help. He contacted veteran local researcher and all-around great guy Chris Minniear and asked him to check this situation out, post haste. Chris and his brother dropped everything and took off driving. Directions in hand, they travelled the local by-ways, trying to resolve the contradictions in the directions. They never did. Coincidentally, Chris had noticed in his daily travels that some low-life had dumped an old mattress (a futon, really) at a wide spot on the road along Long Tom Creek only a few miles east his home along State Hwy. 36. "How pathetic!" Chriss remember's thinking. He certainly didn't make the connection immediately, but after a round of clarifications between Cliff and the original witness, Chris was amazed to find the site of the reported foot prints was indeed the very same place where the futon-style mattress lay abandoned, just down the road from his home. Amazing! No time for wonderment, though. There was work to do. Chris got busy and took photographs, then step-length measurements, then foot measurements, then a thorough search of the area. Then, like the good, science-based field man that he is, Chris cut the two foot prints out of the fabric that covered the mattress. He took them home to dry. Nothing special caught his eye as Chris searched the immediate vicinity; just the familiar array human roadside detritus: beer cans, slurpee cups, empty whippet (nitrous oxide) canisters, and a whole bunch of other trash strewn along the highway and the banks of the Long Tom River and the adjacent highway. With the evidence safely secured in Chris Minnear's competent care, Cliff was able to wait until the weekend to make the 100 mile journey from Portland to Noti. That Sunday, three of us headed south and got with Chris Minniear and his wife Susan. In a downpour, we again surveyed the scene and found absolutely nothing of additional interest. But, the time spent scouting around in the rainstorm underscored the value of having Chris collect the evidence in a timely manner. Had Chris not moved when he did, the prints would have been seriously degraded if not completely obliterated by the week-long deluge. As it was, Chris handed us, wrapped in paper, a couple of true foot prints. Indeed, these impressions in linen fabric were prints, not casts. Unlike every other track find I have ever been involved in, there were not foot impressions that were cast in plaster. The were prints on a fabric canvas of sorts, and the artistic medium of choice was mud, not ink, oil, or acrylic paint. Amazingly, we were also being handed prints of both feet. That almost never happens. The coarse weave of the linen fabric covering the filthy futon seems to have precluded any hope of capturing fine-scale dermal ridge detail. Still, foot size (13') and a step length (48") were perfectly preserved. As can be seen from the photos, Cliff measured the foot size as 13.75" for the right foot and 13" for the left foot impression. Some may contend that these are within human range, although on the very high end of the human range. More telling, perhaps, is the surprising width of the feet ( 6" at the ball of the foot). Even more interesting is the splay of the toes: this is indicative of a pair of feet that have never worn shoes. Note the particularly wide splay of the smallest (5th) toe on each foot. By comparison, when shoes are worn, the little toe becomes permanently adducted (that is pushed in and folded) against and sometimes under the fourth toe. All the other toes get similarly scrunched together (adducted) by the confining nature of shoes. Conversely, feet that have never been bound by shoes have toes that are abducted (spread out) as is clearly seen in the two prints that Chis Minniear collect on Cliff's behalf. The clarity of the prints and the foot anatomy on display says to me that these prints are the real deal, and a prints impressed onto a relatively clean piece of white cloth. Truly a remarkable, one-of-a-kind find which only happened as a result of a coordinated effort by experienced local researchers Cliff and Chris. Team work at it's finest. On a different note, am I the only one who finds myself wondering whether this was a totally random event? Or, might it be that these prints have something to do with the fact that Chris and his lovely wife Susan live only a couple miles down the road? Might the discussion by Toby Johnson of the anniversary of the London trackway be somehow related? It has been said that there are no such things as coincidences. Or, it is also said that,"coincidences are God's way of remaining anonymous." Here I go again, showing my paranormal tendencies. In any case, the real credit should go to the swift and effective action by not only Cliff and Chris, but also the original witness, whom I would love to name but whom I do not yet have permission to name. I have a feeling we have not heard the end of this story, but it sure was a worthwhile way to spend a really rainy winter day in Oregon. Most of the way home, as we motored north on I-5, we made up titles for the chapter I might someday write about this episode. "Finding Bigfoot's big foot-on futon", "Big Foot-on futon," and several other combinations of those syllables had us laughing. Readers are invited to submit other combinations. One of mine was 'The shroud of Noti'. Is that too obscure and too religious of a reference?. I have a lot of religion in my background. Are folks still generally aware of 'The Shroud of Turin.' Is it blasphemous to apply that religious reference to a bigfoot situation? If so, I apologize. 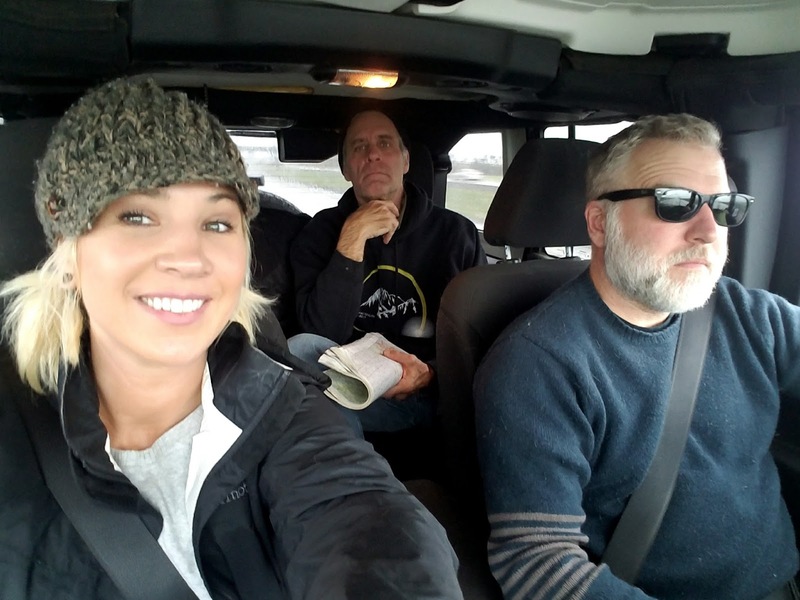 As we motored north in the waning daylight, windshield wipers slapping the rain aside, I reached into the back of the jeep and pulled out the two pieces of cloth with their breath-taking impressions upon them, so dutifully cut and dried by Chris Minniear. As I cradled them delicately in my lap, trying not to touch them with my bare hands, I was momentarily awe-struck. The only think I could think of was that this must be what it felt like to hold in one's hands an item of huge significance like the Shroud of Turin: that being cloth that presumably wrapped Jesus' body after crucifixion. Cliff Barackman and Chris Minniear were kind enough to share with me the photographs seen here of the Shroud of Noti. Foot print with Bic lighter for scale (3 1/8"). This photo was taken by the reporting witness and forwarded to Cliff. Pending California Bigfoot Lawsuit: "Inherit the Windigo"
Perhaps you have heard. A California woman is suing her home state to force state resource and wildlife agencies to officially recognize that sasquatches (bigfoots) do exist. Make no mistake: I applaud the efforts of this woman, Claudia Ackley, and her co-plaintiff, Todd Standing. I sincerely hope they succeed in forcing the State of California to officially recognize the mysterious but real beings we variously describe as bigfoot, sasquatch, yeti, windigo, or even the abominable snowman. But, do I expect them to win this landmark lawsuit? Not a chance. Call me cynical, but we have been down this path before, or atleast a path that is very similar to this one, and in the past, it led absolutely nowhere. On the bright side, we won't have to wait very long to find out how solid the legal footing is for the Ackley vs. State of California litigation. A preliminary hearing is scheduled for March 19th, which is just one short month away. And, as we impatiently wait for resolution of this most intriguing matter, lets examine a few of the details and their implications. Mountains near Lake Arrowhead, California, when they had a fairly ordinary bigfoot sighting (if you can call any bigfoot sighting "ordinary").The mom, Claudia Ackley describes seeing a sasquatch checking out the mother-daughters trio from its perch up in the branches of a tree. She describes the creature as hair-covered and massive. One of the daughters saw what she felt were two juvenile sasquatches. She snapped a cell phone photo which was typically blurry. Ms. Ackley estimated that the creature she saw weighed about 800 pounds. We assume that the limb upon which the creature was perched was quite stout. I will offer that, as a collector of sasquatch sighting reports, this kind of claim is not as weird as it sounds. Based on numerous sighting reports I have gathered, sasquatches do climb trees and there are a number of historical sightings of sasquatches with arboreal inclinations. I'd hate to have to prove in in a court of law, but it is true. 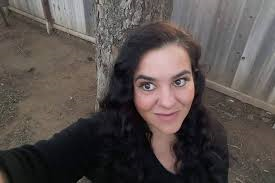 Anyway, the hikers were scared silly and got the hell out of there but the whole experience conflicted her greatly so Ms. Ackley reported the sighting to rangers and bureaucrats at California Dept. of Fish and Wildlife. Predictably, they poo-poo'ed her sighting as nothing more than a tree-bound bear. That the California Department of Fish and Wildlife failed to take her seriously irked Ms. Ackley and she decided to do something about it. This is where it begins to appear that Ms. Ackley wasn't just another ordinary witness of random sasquatch activity. I suspect she had some prior interest in or knowledge of the subject because she connected with, of all people, Mr. Todd Standing. 1.) Ms. Ackley's reputation has been diminished by the state's insistence that such creatures as the sasquatch do not exist. 3.) The sasquatch are clearly threatened or endangered in some way by human activity in general and forest practices in particular. The state needs to do more to safeguard the sasquatches' presumptive habitat. 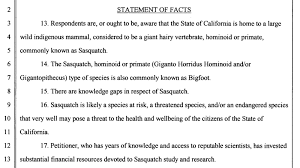 This is my favorite element of the whole lawsuit: the suggestion that the sasquatch are, on the one hand, a threat to our safety, and on the other hand the sasquatch themselves are equally threatened by our activity! You gotta admire Standing and Ackley for covering all the bases. It's also the perfect conundrum. If this lawsuit does prevail, one way or the other, the State of California has a lot of protecting to do. I further predict that this conundrum, and a few others like it, will ultimately doom the whole lawsuit. But the biggest hurdle that the plaintiffs in ths lawsuit face is the expectation that they can demonstrate that bigfoot creatures exist in the first place. As the kids say these days, "Good luck with that!" Fear not. Todd Standing to the rescue. A resident of Alberta, Canada, Todd has been active in the bigfoot field for several years now, and he, like many others, has aggressively pursued an evidence-gathering agenda for some time now. Todd is also an aspiring film-maker with a collection of pretty questionable video clips of purported sasquatches. 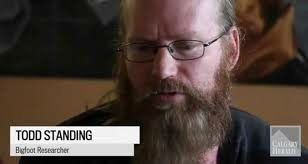 Todd also claims to have had a whole bunch of close-range interactions with sasquatch beings in secret locations somewhere in Canada.. Todd confidently states in a recent newspaper piece that, in addition to his video evidence, he plans to bring to the courtroom, "a whole mountain of evidence...Ph.D's, wilderness experts, wildlife biologists, and fingerprint experts." Todd intends to construct a bullet-proof case for sasquatch existence (pun intended). Boy, is he in for a surprise. Whatever happens, I'll be watching. I just hope Todd and company are ready from some hard-ball opposition from the other side of the courtroom aisle. Count on whatever 'evidence' the modern-day Clarence Darrow presents to be roundly discredited. If things even get that far without the whole case being dismissed, the expert testimony will be vigorously challenged, utterly impugned, and thoroughly contradicted by competing 'experts' testifying on behalf the Great of State of California. Trust that the reputation of all of the plaintiffs' so-called experts will be trashed, since this tactic is the one we have seen the most often applied in the past. If you cannot refute the testimony, just discredit the experts and especially the witness (Ms. Ackley) with ad hominem attacks on her character and reputation. Things will get this ugly for the simple reason that there is so much at stake. One big issue which I think will stop the lawsuit cold is the un-provable assertion that sasquatches are a real threat to public safety. I doubt that admissible evidence of this point can be found, much less shown to be compelling in the eyes of the court. In the California incident, the mother and daughters left the scene without physical harm. This is the way virtually every sasquatch encounter ends. Ms. Ackley may have experienced mental trauma but good luck proving that. Indeed, good luck finding any persons anywhere, living or dead, who were physically harmed by a sasquatch in any provable manner. Mind you, there probably are a few such folks. For example, in 1959, some college-student mountain climbers were killed near Dyatlov Pass in Russia. Yeti-like beings were suspected, but whoever or whatever they were, the perpetrators in that tragic situation were utterly unverifiable at the time. If such a situation was submitted into evidence, I predict that the judge rules it "inadmissible hear-say". What's may actually be admissible as evidence is the true fact that, on October 6, 2013, a physicist name Alyof Krost disappeared from a group hike on a trail at Arrowhead Lake, the same vicinity as Ackley's bigfoot sighting. Dave Paulides brought this case to my attention when he read this post. He told me he that he personally investigated that case at length, since it was one of several curious cases of a physicist disappearing from the wilderness. In this particular case, the 62-year-old hiker/physicist named Krost disappeared from the Pinnacle Trail off Lake Arrowhead amidst an organized hike comprised of twenty hikers and two guides. No trace of him was ever found. Whatever evidence of bigfoots' existence they do plan to submit, I sure hope it's better than the video clips and photographs Todd has been showing around at presentations like the Sasquatch Summit in 2015. A still from one of Todd Standing's videos. Admissible in court as evidence of sasquatch existence? The Standing and Ackley legal team should also be prepared for some very aggressive opposition since resource extraction concerns (mining and timber) have a great deal to lose by formal recognition of a new species of indigenous North American primate, even though I would assert that the sasquatch are in no way endangered by humans. But something is going on in the woods, because government agencies have suppressed their knowledge of bigfoot/sasquatches for many decades. One can count on the fact that such government agencies and corporate interests would willingly contribute to the defendants' (State of California) position that no such species exists and consequently, that Ms. Ackley's perceived slight at the hands of the State of California has no merit. And finally, there is the one remaining hurdle: showing that the sasquatch is, in the words of the court document, an "indigenous mammal primate...a giant, hairy hominoid or primate." I remember the days when I thought the sasquatch was just an undiscovered primate. I was sure that if I put a few remote cameras around in the woods, I would get pictures to show the world and the case would be closed. We in the 'bigfoot biz' have been working that angle for half-a-century now and we have one good film clip to show for our efforts; the Patterson-Gimlin Footage. I hope that clip is found to be admissible evidence in this lawsuit, but I doubt it. Even if it is, it isn't at all clear what that famous footage purports to show. Is it a costume, an ape, a primitive person, or a ghost? My own understanding of the sasquatch phenomenon has changed markedly over the years. Currently, my view is that the sasquatch are a lot closer to people than apes, but they aren't even people in the strictest sense. They are mysterious, ghostly, spirit beings that need no protection from humanity and in any case, are no particular threat to humanity. Can I prove any of this? Hell, no. If I were Todd I would stick with the bogus 'ape' scenario for the same reason it is embraced by so many self-anointed researchers of this mysterious topic; because it is the most sale-able. True? No. Just saleable to a court that has not studied this vexing issue in any depth whatsoever. But the more one does study this issue, the stranger and more confusing it becomes. When that happens, most throw up their hands and declare the subject to be either unsolvable, or imaginary, or both. But there is indeed another knowable truth beneath this seemingly intractable mystery. feel like I finally stumbled upon the solution. It gets a little complicated so I wrote it all down and published it in a book entitled Edges of Science. Are any of my conclusions of any use to Todd Standing and Claudia Ackley in their most worthy lawsuit? Doubtful. I hope and pray that they do prevail in this admirable legal endeavor, even as I harbor strong doubt that the judge of their legal case will find in their favor. I'm not a lawyer but I think I would motion for a jury trial and whip up a bunch of courtroom drama for the sake of the jury, just like in Inherit the Wind. In an article published about Todd in a Canadian paper, the reporter quoted Todd as saying, "We can't lose. How can we lose?" I met Todd at Ocean Shores. He was a perfectly nice fellow. I'm cheering for him. Still, from all of my experience with the bigfoot topic and in light of the way I expect the court to view the whole bigfoot topic, I would respond, "You can't win. How can you win?" Two digital media professionals on a fishing trip in the Pacific Northwest stumbled upon an intricately decorated clear cut somewhere way out in the woods. They described this on the air and a listener immediately called in to inform them, to their surprise, that they were describing a bigfoot deal. Always up for exploring a good controversy, down the rabbit hole they went. That was 1992 and here they are 25 years later, still a bit puzzled but still exploring this hirsute and enigmatic mystery. Thom Powell first met Chuck at a 2016 bigfoot conference in Bremerton, WA. From this chance meeting came an enduring connection. 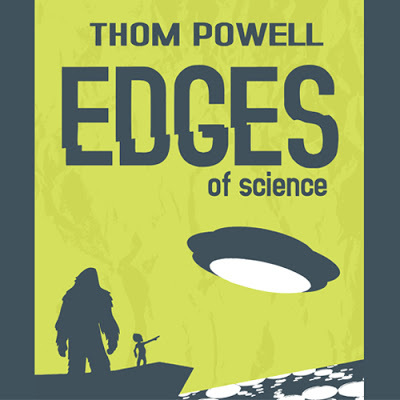 Over a period of months, Thom and Chuck continued a dialogue that gradually led Chuck right over the edges, The 'Edges of Science', that is, which happens to be the title of Thom Powell's new book. Soon after the signed copy of Edges of Science landed in the hands of for Chuck's son Hunter, the Sasquatch Syndicate was born. Two years have now elapsed and Chuck and Paul have just taken things to a whole new by presenting this exclusive podcast interview of Thom Powell. Whether you are of the 'flesh and blood' ape or homin camp, the paranormal, or even the alien view of sasquatch origin, we have something for you. This wide-ranging interview with Thom Powell covers the numerous and varied facets of the sasquatch mystery. The interview is fun, it is open, and it is a definite paradigm shifter. You can find the whole interview at the Sasquatch Syndicate Website or you can listen to it it just by clicking on this link. The Sasquatch Syndicate, by the way, is a Washington State non-profit organization that promotes research efforts that contribute to the wider recognition of the sasquatchs' existence, no matter what they turn out to be. 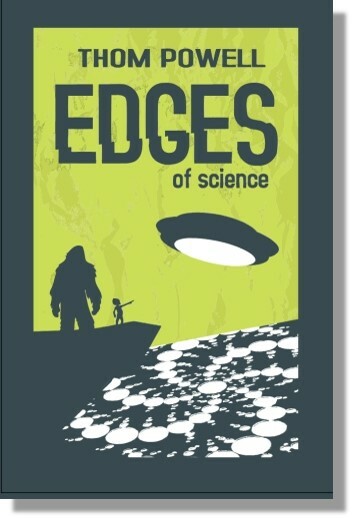 Signed copies of Edges of Science can be ordered from the author at this link. Unsigned copies can be purchased at Amazon.com but if you listen to Chuck and Todd's whole podcast interview with Thom Powell, you might not even need to buy the book.